Summmmmerrrrrr! It’s finally here! Well, I shouldn’t really say “finally” because I swear it feels like yesterday that I was gushing over first day of school pictures. Nevertheless here we are enthusiastically welcoming the slower pace of summer days as our heads are filled with images of water balloon fights, watermelon dripping down chins, and sun-kissed cheeks falling asleep after a long day of memory making. Usually at this point we feel a mix of excitement to have all of our children home to play and relax together and a bit of anxiety wondering exactly what we’ll do to keep them from going stir crazy for the next 12 weeks. Well, don’t worry! We’ve got you covered. We’ve joined some amazing bloggers to share 12 weeks of summer camp at home ideas that are perfect for providing a little fun and a tiny bit of structure to your summer days without taking up too much time or energy! 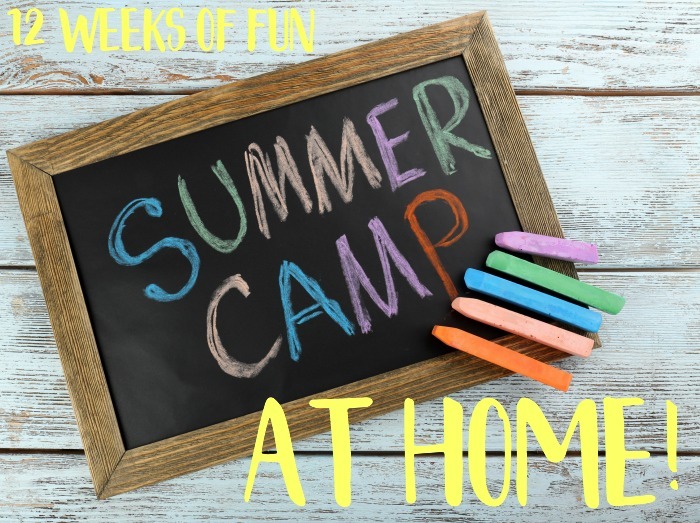 You can also come on over and join us in the summer camp Facebook group to see what other families are doing each week and get even more ideas. I thought you’d think so! We’re kicking off the summer camp at home series with five (maybe a few more!) 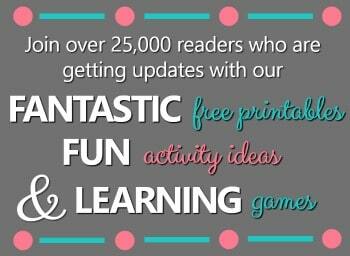 ocean theme activities…no ocean required! Whether you’re planning a trip to the beach or not this summer learning about the ocean can be fun for kids of all ages. Let’s get started! Items for play dough invitation of your choice (play dough and your choice of seashells, glass gems, ocean creatures, any additional items you have that go along with your idea). You can use extra materials leftover from your small world too. Monday-Make an ocean theme small world. Small worlds are miniature collections that often include sensory elements for kids to explore. They are open-ended so they often lead to kids playing for a long period of time and revisiting the same small world over and over again. 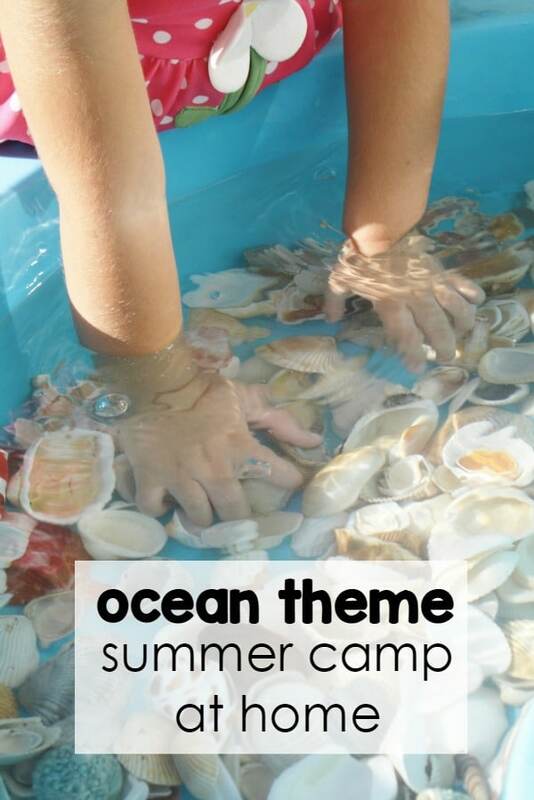 By setting up your ocean theme small world on the first day of summer camp you’ll be able to leave it out for the week and get quite a bit of use out of it. You’ll notice that as the kids play with it more they’ll engage with the materials in different ways, expanding on their learning as they do. Tuesday-Make an ocean theme play dough invitation. Play dough invitations are another great activity that lead to a ton of playtime, and they are terrific for strengthening fine motor skills too. You don’t have to do anything elaborate. Play dough and cookie cutters are fantastic! If you want to expand a little more, try one of the ideas below. 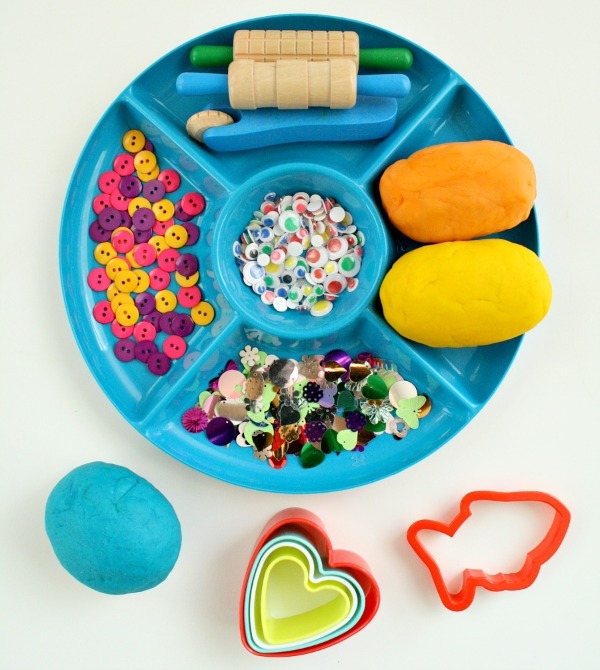 You can set out play dough, some jewels and fish dough cutters like we did for this fish play dough setup. Use small sea creatures, jewels, and blue play dough to create a miniature coral reef. If you’d like to add a delightful coconut scent to your playtime, make (or buy!) white play dough and add coconut extract. It’s smells amazing! We added some shells and driftwood to ours for our seashell play dough invitation. Leave your play dough invitation out for the rest of the week and you can play with both your small world and play dough invitations in addition to the other summer camp activities each day. 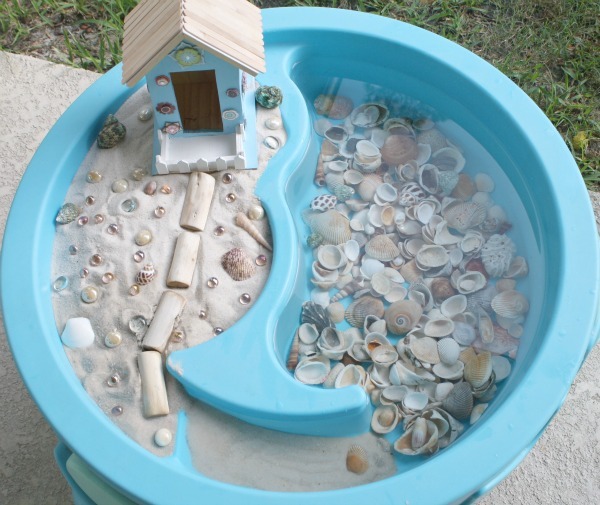 Wednesday-Make an ocean craft…or a whole mural! Bring out the paint today, and let kids create their favorite sea creatures. You can use paper, paintbrushes, and paint and let kids create freely. If you want, try some of these process art ideas. If you’re up for it, use a large piece of cardboard or put up a large piece of paper and let kids create a whole mural with their sea life creations. They’ll love it! 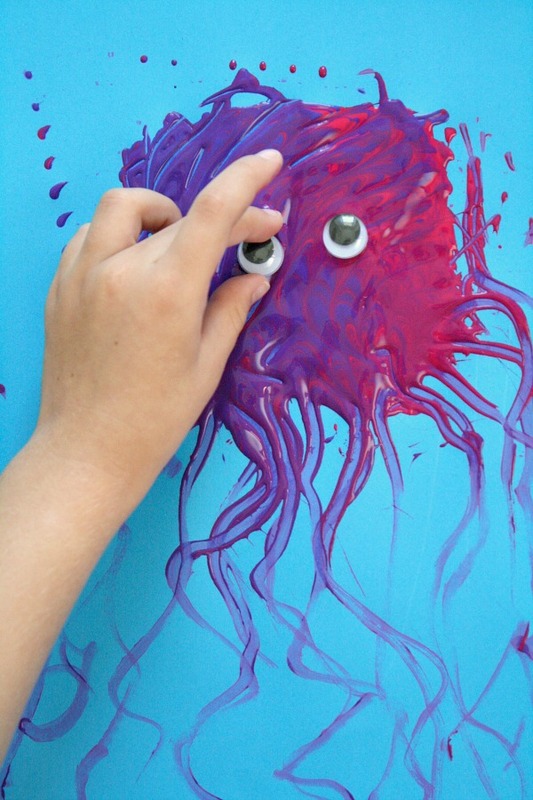 Use a comb to create some process art jellyfish. Use a potato masher to create fish or other sea creatures. Use a fork to make these decorative fish. Make marbled fish with shaving cream and liquid watercolors or food coloring. 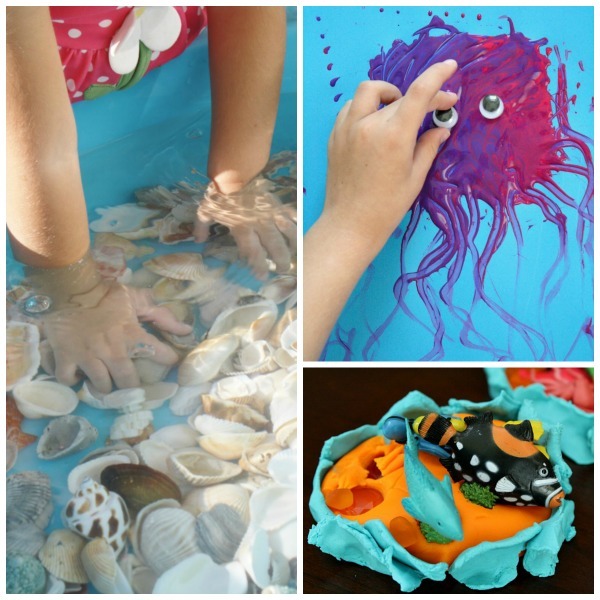 Let kids discuss their own favorite sea creatures and think of ways to create them. Thursday-Get moving with some some beach theme action games. 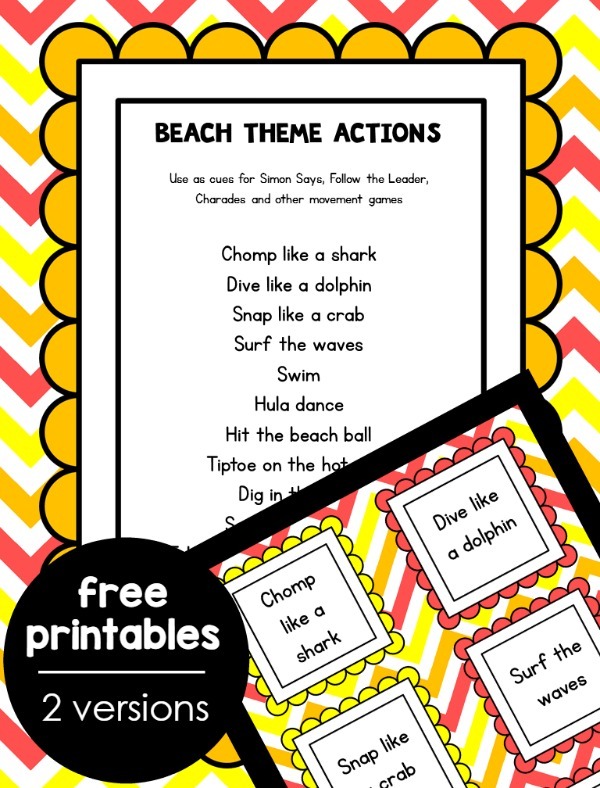 Print out our beach theme actions printable, and use it for some silly time! Kids will giggle galore as they wiggle like a jellyfish, jump over the waves, snap like a crab and more. Our free printable includes a one page list you can use to call out movements for games like Simon Says or Follow the Leader. There are also individual cards kids can draw and do as you play together. Take turns or play as a group…and don’t forget to participate too. Kids love to see adults acting silly! Grab the sidewalk chalk and head outside today. Work on a large sea life mural full of all the creatures and details you’ve been talking about this week! Leave room for kids to lay in their mural. Then take a picture to keep for you summer memory book. Optional: If you’d like to extend the play and learning outdoors even longer, spend a little time together before go outside to research the size of some common ocean creatures (a blue whale for sure!). Record your findings and head outside with your chalk and tape measure. Work together to draw out the lengths of some of the creatures you researched, and compare them to your kids’ heights. They’ll be amazed at how big a blue whale is, and you even incorporated a little math along the way! If you have time before camp starts, take a trip to the library and check out some of your favorite fiction and nonfiction books about oceans, sea life, and the beach. Spend time reading a little bit together each day before or after your summer camp activity. If you have older kids they might choose a sea creature to research throughout the week and then share about in some sort of presentation of their choice toward the end of the week. 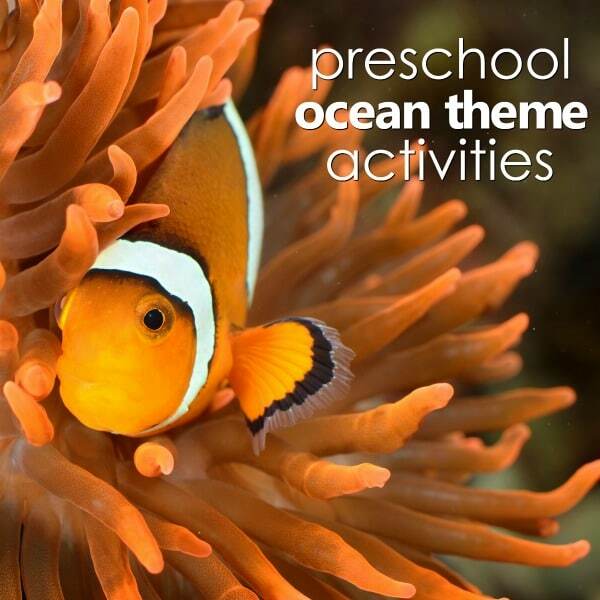 If your little ones love the ocean and sea animals, continue the learning with even more ocean theme learning and play ideas and printable activities. 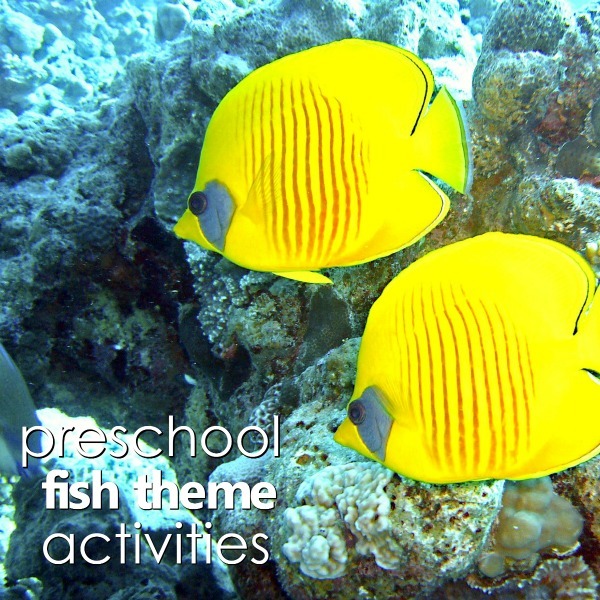 Many of our fish theme ideas will also work well with your ocean theme summer camp. Thanks so much for joining us for ocean theme summer camp at home! 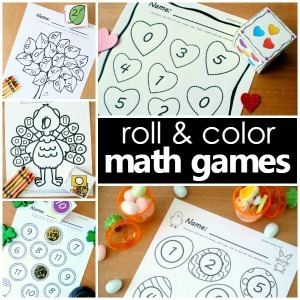 Pop on over and join in the rest of the summer camp at home themes.